Conference series LLC cordially invites all participants across the globe to attend the 5th International Conference on Big Data Analysis and Data Mining (Data Mining 2018), to share the Future Technologies for Knowledge Discoveries in Data and technology. The main theme of the conference is “Future Technologies for Knowledge Discoveries in Data". This conference aimed to expand its coverage in the areas of Big Data and Data Mining where expert talks, young researcher’s presentations will be placed in every session of the meeting will be inspired and keep up your enthusiasm. TERATEC Forum will be held in France on the 19th and 20th June 2018.
welcomes more than 1.300 attendees, highlighting the technological and industrial dynamism of HPC and the essential role that France plays in this field. The participation and the testimony of senior industrial and ICT leaders, the diversity and the high level of the technical workshops, the representativeness of exhibitors and innovation offers displayed, are assets for all responsible concerned by simulation and high-performance computing. The aim of the Forum is to bring together decision makers and scientific experts in simulation, HPC, Big Data and AI, from industrial and academic worlds, public organisations and research centers. Find further information about the programme and registration here. The programme of the conference and the registration page will be available soon. The Europe’s Business Festival for Innovation and Digitization (CEBIT 2018) will take place from the 11th to the 15th of June in Hannover. Big Data Innovation Conference (BDIC) 2018 will help business to understand and utilize data-driven strategies and discover what disciplines will change because of the advent of data. With a vast amount of data now available, modern businesses are faced with many challenges. But with the challenges comes opportunity. At this conference, keynote speakers will provide valuable insights, providing the attendees a learning opportunity to help to create new insight, help in how to use enormous data collected from different business channels and use this valuable information to develop business and drive growth. 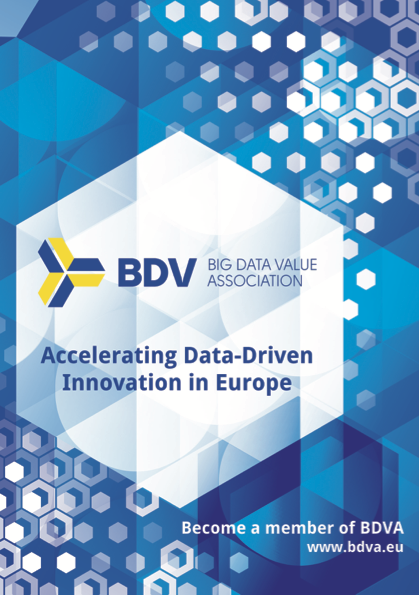 Big Data Innovation Conference (BDIC) 2018 will take place in Frankfurt on the 7th and 8th June. It aims to help companies to understand & utilize data-driven strategies and discover what disciplines will change because of the advent of data. Keynote speakers will provide valuable insights, providing the attendees a learning opportunity to help to create new insight, help in how to use enormous data collected from different business channels and use this valuable information to develop business & drive growth. Information about the programme and registration is available here. Organised by Mandat International, IEEE IoT TsC, the IoT Forum and IPv6 Forum (collocated with the IoT Week), The Global IT Summit’18 will take place from the 4th to 7th June 2018 in Bilbao, Spain. More detailed information about the event and registration is available here. The 2018 Global IoT Summit (GIoTS) seeks contributions on how to nurture and cultivate IoT technologies and applications for the benefit of society. The Organising Committee launched a call for papers concerning paper submissions and publications, special session and workshop proposal submissions and industry forum panel session submissions. All the information about the call for papers is available here. The IoT Week 2018 will be organised for 4 days, from 4th to 7th of June, with an extra day, June 8th in Bilbao. The IoT Week will also host and collocate the second Global IoT Summit (GIoTS) endorsed by IEEE and driven by the IEEE Subcommittee on IoT and the IoT Forum, to select and present cutting edge scientific articles on IoT innovations and latest research results. All the information regarding the programme, speakers and registrations is available here. The Global Industry conference on nano & digital tech will by take place during the ITFBELGIUM, 23rd-24th May 2018 and will be powered by imec. 60 talks by top representatives from industry and imec and 55 live demos of ground-breaking technologies & applications are currently foreseen. Program and Speakers updates will be available in the upcoming weeks here. JOTB is an international rendezvous for developers and DevOps around Big Data technologies. This is a fun conference to learn and share the latest experiences, tips and tricks related to Big Data technologies and, the most important part, it’s On The Beach! The discussion will be focused on several topics such as: Distributed Systems, DevOps & Architectures, Functional Programming, Big Data in the Business, Data Visualisation and IoT & Embedded. Find more information about the event and register here. The Joint Conference on Data Science 2018 (JCDS18) is organised on the 22nd -23rd May 2018 in Edinburgh. The aim of the event is to bring together academics, policy-makers, and business people passionate about the emergent field of data science as a force for strategic transformation in an academic and professional context. Establishing the profession of a Data Scientist is the consequent conclusion from the present situation and JCDS18 will have a focus on the acquisition of skills and competences that individuals need in the new data science era, and how best to address the growing demand from organisations for individuals at all levels to be suitably equipped to thrive in the digitised economy. The challenge is that both work and the research environment are transforming into interdisciplinary environments, so data-related skillsets have to be harmonised in order to foster collaboration. Data Science is an interdisciplinary scientific and technical research and development field that amalgamates techniques and approaches for efficient and effective data management, integration, analysis, visualisation, and interaction with vast amounts of data, all as a critical prerequisite for a successful digitised economy. JCDS18 will therefore have a focus on the demonstration, presentation and discussion of innovative research and development results from related topics around machine learning, information visualisation, big data management, analysis, reproducibility, and ethics. The Event Committee invites professionals in submitting workshop, tutorial and demo proposals and scientific papers. Find further information here. More detailed information about the conference is available here. The Digital Business Show Congress will take place in Madrid from the 22nd to the 24th May. The event aims to help SMEs and large corporations to generate engagement needed to become a “top of mind” company. It is a unique and mandatory event for any business leaders, CIOs or CMOs and targets people engaged in digital transformation or wish to be inspired. Participants are invited at discovering the latest technological advances that companies implement in their business strategies. RISE of AI Conference 2018, one full day to network, learn and understand artificial intelligence, will be held in Berlin on the 17th May 2018. Rise of AI is a full-day conference limited to 500 AI experts, decision-makers, opinion-leaders and game-changers. It gives the opportunity to get involved in the AI community and learn how to apply AI to companies and understand Artificial Intelligence’s impact for society. Information about the agenda, speakers and tickets is available here. It gives the opportunity to leverage the powerful combination of MDM and Data Governance to deliver optimal business outcomes through trusted information. 70 world renowned independent speakers will participate to the event giving focus on end-users case studies and the successes and challenges behind real-world Data Governance and MDM implementations. Three full day post conference workshops are foreseen. Enhance your in-depth knowledge and Skills in MDM and Data Governance practice. Get more information about the programme and register here. The Open Innovation Summit will be held on the 25th and 26th April 2018 in London and it is targeted to people interested in learning best practices and applications in open innovation from Europe’s leaders in Innovation. Exponential open innovation is moving across traditional industry boundaries and enabling dramatic advances in an array of functions & disciplines. Detailed information about the event is available here. The Bulgarian Presidency event, co-organised with the European Commission, on High Performance Computing will take place in Sofia on the 19th April 2018. This event aims to raise awareness on the role of High Performance Computing (HPC) in transforming Europe's digital future by providing solutions to a wide range of societal, scientific, and industrial challenges. The European strategy on HPC will be presented and the impact of the EC proposal on EuroHPC Joint Undertaking on the European scientific, economic and societal developments, including digital skills, will be discussed. The registrations for Shaping Europe’s Digital Future - HPC for Extreme Scale Scientific and Industrial Applications HPC event are now open! The 2018 Stakeholder Forum, the yearly public event co-organised by the EC and the Member States, will take place on March 27th and 28th 2018 at Villepinte – Parc des Expositions (France). Such second edition is co-organised with the French Ministry for Economic Affairs and Digital Technologies and will take place within the large 4-day Global Industrie 2018 trade fair. The Stakeholder Forum is the key European conference addressed to all stakeholders interested in digitisation of industry, from the entire value chain. It is also an essential part of the coordination framework between the various actions on the digitisation of the industry at national, regional and EU level known as the "European Platform of National Initiatives". The conference will have a specific focus on SMEs and it will conclude with a plenary session. You can find more information here. You can register here for the event. A draft programme is available for download and it will be updated with most recent information. The Data Summit, an international conference presenting compelling stories on data driven innovation, will be held in Edinburgh on the 22nd and 23rd March 2018. The Data Summit has been created to bring together data leaders and practitioners across industry, the public sector and academia to collaborate towards data driven innovation. Get more information and your ticket here!